Remember the tangled mess from my memory blanket class? 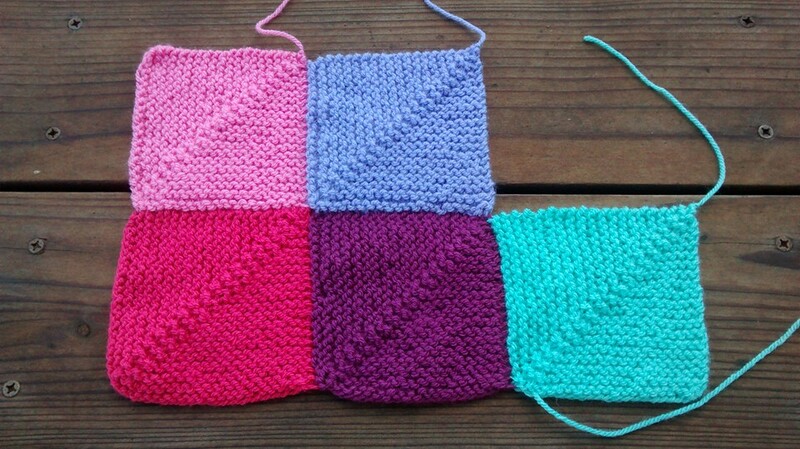 I decided to set that aside and start a proper blanket of mitered squares. I went into the yarn stash and saw that I had this bundle of yarn that I’d purchased some time ago to make the granny stripe blanket designed by Lucy of Attic 24. I thought, You know what? 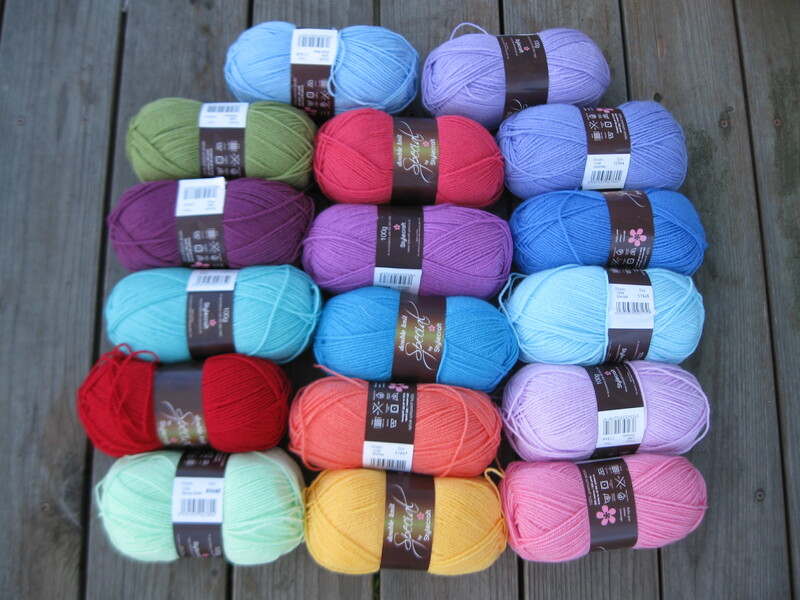 I’m going to use these to make a colorful knitted blanket of patchwork squares, instead. There are a few advantages to making a knitted afghan this way. Each square goes by fairly quickly and the process involves decreases, so you’re not just knitting back and forth lengthwise and getting bored. 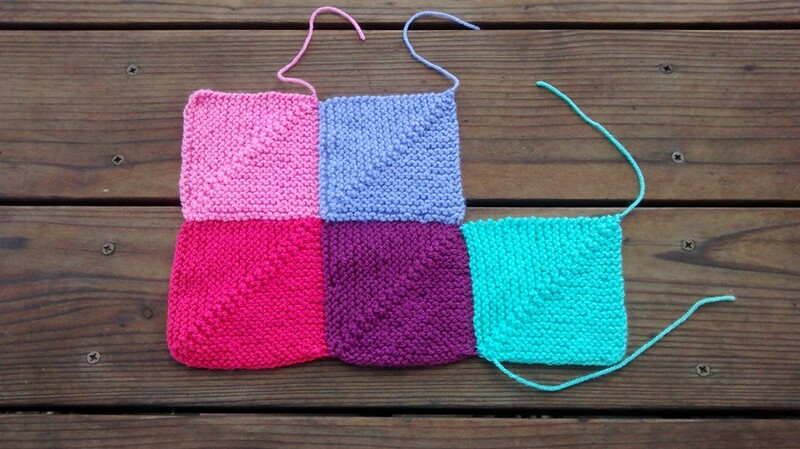 You can switch to a different color when you start a new square, so your eyes don’t get tired of looking at the same color yarn throughout the whole project. There is one drawback that I can see, though. There are a lot of loose ends to be woven in. I’ve been tempted by that granny blanket too. Those center ridges of the squares look like they could be used to make all sorts of patterns when you do the final layout of the blanket.